The Saccidananda Society organizes programmes at different places primarily to present the revealed message of Sri Sri Babathakur. The Society also engages itself in philanthropic activities in a humble way. Everyday 6pm: Everyday Satsang classes are held at the Society Bhaban of Saccidananda Society, Kolkata. For other scheduled programs please refer the Calendar of Upcoming Events at the first page of this website. 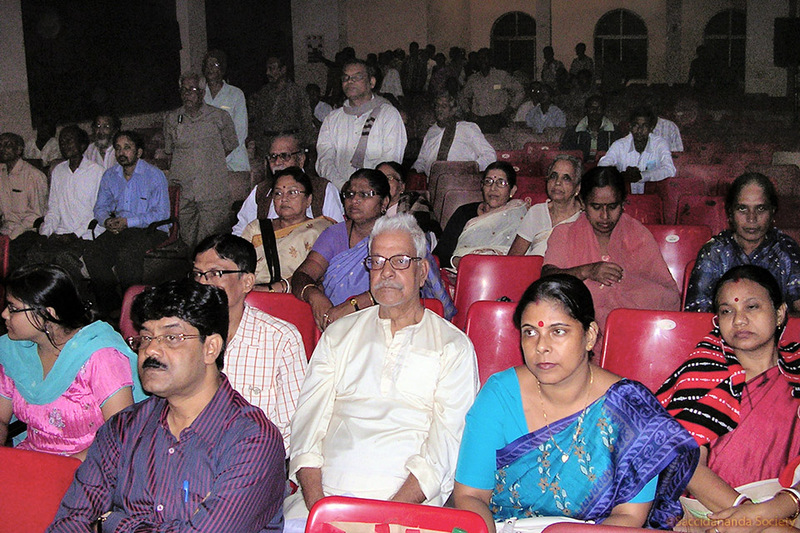 At Bankura and Bishnupur on 6th and 7th November 2011 In conformity with the ideals of Saccidananda Society a move has long been initiated to take the divine message of Prajnanpurush Sri Sri Babathakur to places, specially to far-reaching areas. Accordingly, arrangement was made for video shows of discourses of the Master at centrally located auditoriums at Bankura and Bishnupur towns on November 6 and 7, 2011 respectively. There was some initial work to make the local people in these two places aware of the implications of the video demonstration to be made of the ambrosial unconventional message directly emanating from the lotus lips of the Divine Master. This involved a little bit of publicity. On the dates of the shows local people flocked to the B.D.C.C. Bank Hall at Bankura and Jadu Bhatta Hall at Bishnupur to experience a new kind of spiritual dissemination there. A large number of devotees also came from Kolkata and Delhi to be a part of the events. A few persons from the audience later expressed their appreciation of such an event and suggested that such shows need be organized frequently also at remote places of the district. 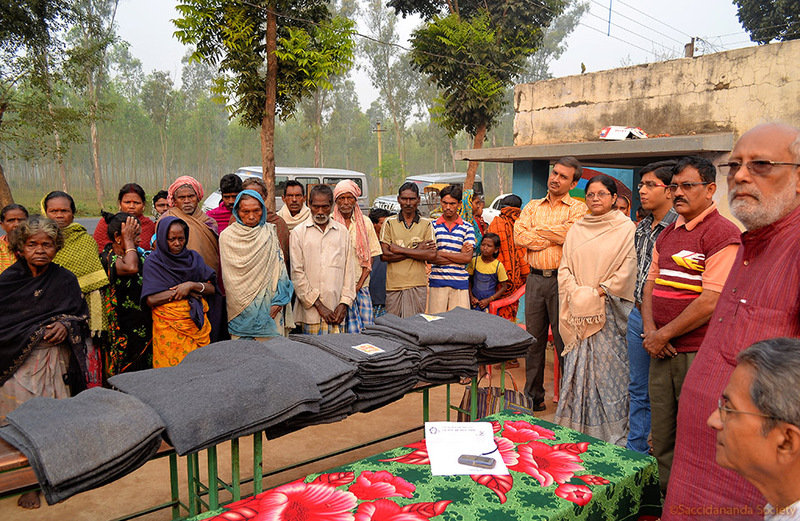 As a part of the programme some philanthropic work was also organized there, in which blankets and food were distributed among the lepers of Jamunabandh and Peardoba leper colonies at the Bankura-Bishnupur belt. 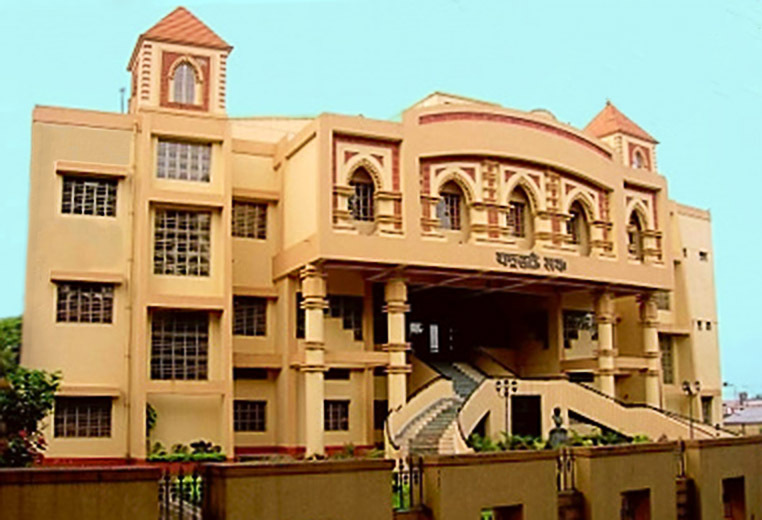 The Jamunabandh colony is managed privately while the Peardoba colony is under state government control. For organizing this distribution the Society received full support from the local Government Authorities.